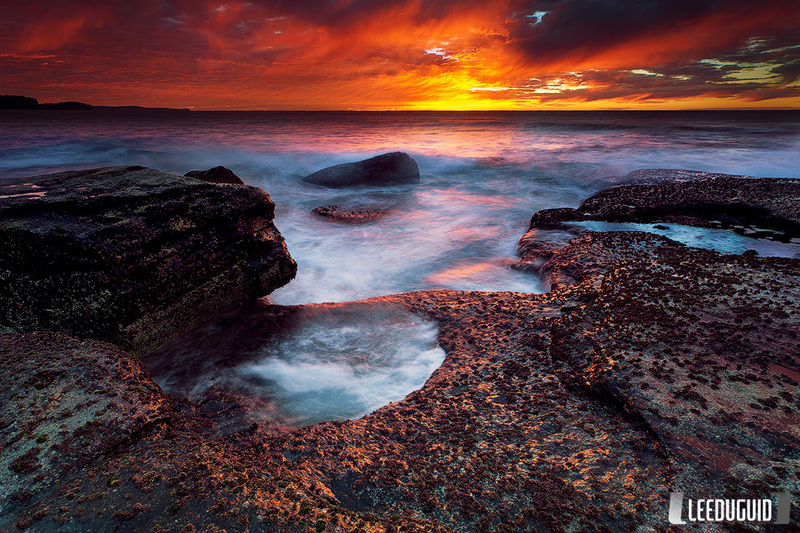 North Turimetta set the scene for this breath taking sunrise. Good light makes for great photos, if only every sunrise was like this. Photographed at low tide the rock shelf becomes exposed covered in crustaceans.